1WHAT IS THE BANK’S ROLE? Banks and other lenders play a pivotal role and are our partners in the SBA 504 lending process. Working together, we blend our resources and expertise with yours to help small businesses obtain financing that gives them a foundation for growth. The bank’s key role is to help us identify potential SBA 504 candidates and to be aware of the benefits of the program. We know that you want your business clients to have the financing solutions that are best suited for their needs – we share your goals. By working together in meeting the financing needs of small businesses, you will observe that BEFCOR manages all aspects of the SBA 504 process. We are available to assist you by explaining and promoting the SBA 504 program and can help in evaluating other financing options. When you participate with BEFCOR, your processing of the business’ loan application will be the same as with a typical loan request. BEFCOR works simultaneously with bank partners when underwriting loans in order to make the process as seamless as possible for the borrower. We share information to speed the process. Generally, we and the bank evaluate a loan request simultaneously.  After BEFCOR obtains Loan Committee approval (and Board approval, if needed) and the bank approves the loan, BEFCOR will complete the SBA 504 application with the borrower and submit it to SBA. For SBA 504 borrowers, there are three basic approvals: loan application, appraisal and environmental due diligence. After these approvals, the bank can close an interim loan that combines both BEFCOR’s SBA 504 loan and the bank’s long-term loan. Generally, the bank provides the funds to complete the project (except for the borrower’s down payment) during the construction or interim period. When the project is complete and meets SBA’s criteria, the SBA loan will be scheduled for closing. BEFCOR will need copies of the bank’s loan documents, supporting documentation of all project costs funded and concurrence that no “unremedied adverse change” is evident. 2ARE ONLY BANKS ALLOWED TO PARTICIPATE WITH BEFCOR IN OFFERING SBA 504 LOANS? No. Credit unions, pension funds, insurance companies, commercial lending companies and individuals may participate as a lender. 3WHAT ARE THE SBA REQUIREMENTS REGARDING THE BANK’S LOAN? • The lender’s loan term must be at least 7 years for a 10-year 504 loan and at least 10 years when the 504 loan term is 20 years. • Interest rates must be legal and reasonable, and may be fixed or variable. • Cross collateralization is not permitted. Early call features or demand provisions – except if the loan is in default – are not allowed. • The bank or lender loan must not be open-ended. • The lender’s loan amount must be equal to or greater than the SBA 504 loan. • The SBA 504 loan may not exceed 40% of the project’s total cost. • The borrower’s contribution or injection must be at least 10% of the total project cost and may be more, if required by SBA. • No more than 50% of the project costs can come from Federal sources. 4CAN EXISTING EQUITY IN THE PROJECT PROPERTY BE USED? Yes, sometimes. In certain situations, the borrower’s contribution may be existing equity in land (including buildings, structures and other site improvements that will be part of the project property) previously acquired by the borrower. 5CAN EXISTING DEBT BE REFINANCED USING LOAN PROCEEDS? Often, yes. When the financing used to acquire the land and building could be considered “interim financing,” eligible projects may be refinanced with 504 loan proceeds. SBA also allows refinancing of loans that are over 2 years old and when businesses meet SBA’s criteria. Loans must be secured by fixed assets. SBA 504 refi loans can extend the term and lower the interest rate of an existing loan. 6WHAT IF THE SMALL BUSINESS CANNOT CREATE THE REQUIRED JOBS? Call us! SBA allows small business to meet other economic development criteria if job creation does not meet the standards. 7WHAT IF THE BUSINESS NEEDS WORKING CAPITAL IN ADDITION TO FIXED ASSETS? You may already know that the SBA 504 program cannot finance working capital. However, you may still be able to fund a working capital loan conventionally or by using another program. We can give creative options to help you find the best way to match the business’ financing needs with programs and a structure that make sound business sense. • Projects that generate renewable energy like solar, wind or geothermal. • Small businesses purchasing, constructing or retro-fitting facilities incorporating energy-saving technologies that result in a 10% decrease in energy consumption. 8WHAT ARE SBA’S REQUIREMENTS FOR APPRAISALS? We will gladly send the details so that you can incorporate SBA’s requirements into yours. Our goal is to ensure that the appraisal meets both your standards and SBA’s, so the business only has to pay for one appraisal. The cost of an appraisal is usually an eligible project cost. Appraisals should be addressed to BEFCOR and the U.S. Small Business Administration. If one of the three traditional approaches to valuation is not used, an explanation is needed. Appraisers must meet certain qualifications, and appraisals may need to meet specified industry standards. Projects less than $250,000 may not require an appraisal. For projects with substantial construction or renovation, a letter from an architect or appraiser is required to state that the project was substantially completed according to plans. 9IS AN ENVIRONMENTAL REPORT REQUIRED? Yes, SBA loans typically require due diligence, depending on the type of business and the property being purchased. A record search risk assessment, transaction screen or Phase 1 environmental report may be required. BEFCOR works closely with the lender to ensure that the appropriate environmental report is obtained for the project property.